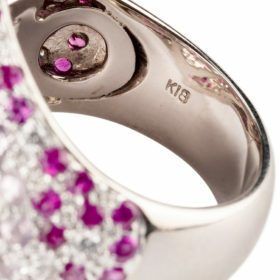 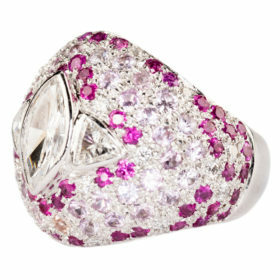 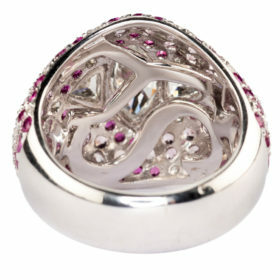 Diamonds, red and pink sapphires mingle together to create this lively ring. 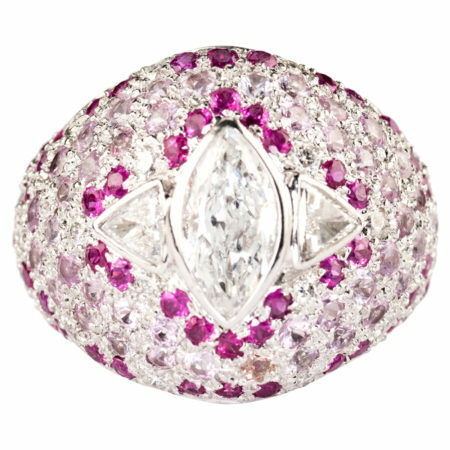 All set in 18K white gold the ring features a 1.0 carat marquise center and two trillion cut diamond accents on either side. 2.50 carats of red and pink sapphires encompass the ring adding contrast to this exceptional piece.